Hey, hey hey! Although we really love making comics with all our hearts, we’re also game players and makers at our hearts. Here you can view a sampling of the games we’ve actually finished. 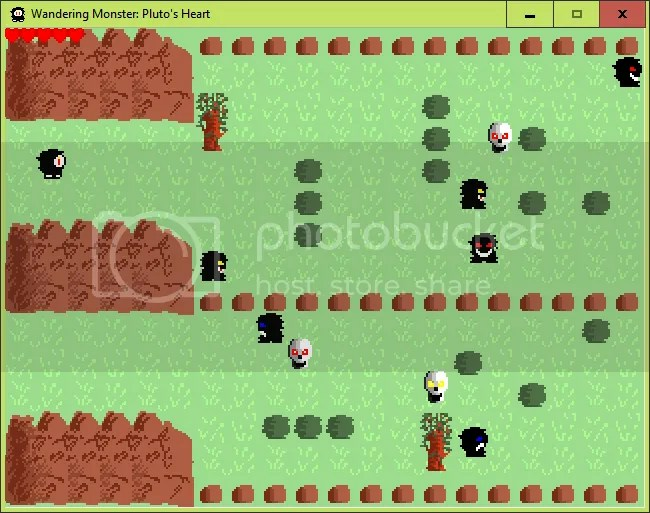 Wandering Monster: Pluto’s Heart is a rather long-winded title for such a game. 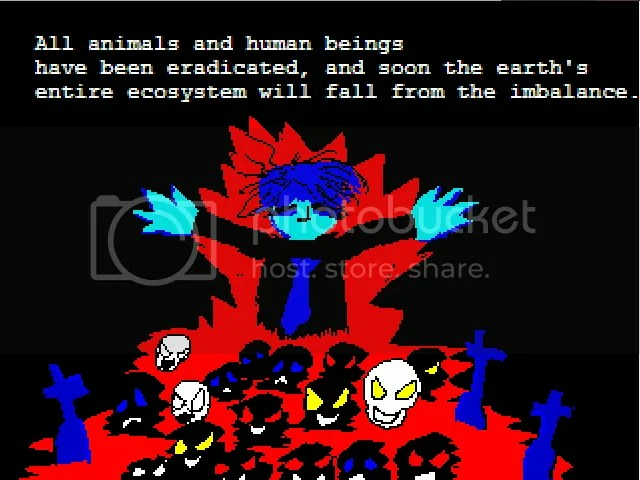 It’s a relatively short but difficult exploration/action/adventure game, where you explore an island in search of, well, we’ll let you play the game and find out. 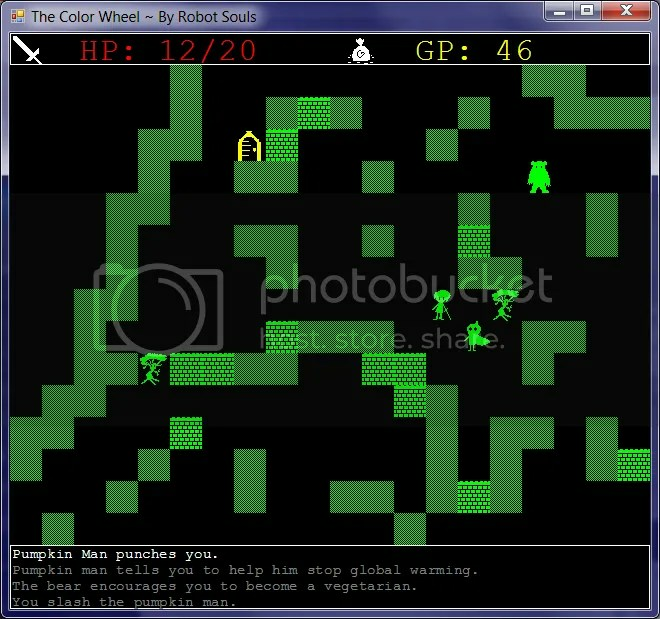 Color Wheel is an interesting combination of Megaman and Rogue-style games. It was our first finished computer game, and was made in 72 hours.